On the occasion of the 450th anniversary of the death of Pieter Bruegel the Elder, the Royal Museums of Fine Arts of Belgium celebrate the great Renaissance master through various projects. Pieter Bruegel the Elder is one of the most famous painters from the Renaissance period. Yet only about forty paintings from his short career (he died in 1569, around the age of 40) have been preserved, making them rare and extremely valuable. The Royal Museums of Fine Arts of Belgium house the second largest ensemble of Bruegel the Elder paintings in the world. At the Old Masters Museum, you can admire several of his paintings: The Fall of the Rebel Angels (1562), the Winter Landscape with a Bird Trap and Skaters (1565), the Census at Bethlehem (1566) and the Adoration of the Kings. In addition, several copies by his sons and other (anonymous) followers allow you to further explore this brilliant artist's oeuvre. In 2016, the Royal Museums of Fine Arts of Belgium launched Bruegel Unseen Masterpieces, together with Google Arts & Culture and seven international institutions. face with the palm reader of the Sermon of Saint John the Baptist (1566) or have The Fall of the Rebel Angels (1562) at your fingertips. You can explore Bruegel's masterpieces, his life, influences and legacy through 12 virtual exhibitions offered on interactive screens throughout the Old Masters Museum. Each one brings together paintings, texts, archival documents, as well as audio and video clips, so you can gain in-depth knowledge about Pieter Bruegel the Elder and experience the real-life artworks in a new way. These exhibitions, as well as 7 additional ones, can also be accessed on the Google Arts & Culture website. The Google Cardboard viewer provides a unique virtual reality experience focusing on The Fall of the Rebel Angels. With this 360° experience, the painting comes to life in front of your eyes: you too become one of Bruegel’s creatures. For optimal experience, a "cardboard viewer" can be purchased at the Museum Shop (€10). During official Bruegel Guided Tours, cardboard viewers can be loaned from the museum. Book a private tour for your group and let one of our guides immerse you into the world of Bruegel. We offer tours for primary and secondary schools, as well as adult (cultural) groups. Guided tours are available in English, Dutch, French, German, Spanish, Italian, Russian, Japanese and Greek. The RMFAB offer a wide range of activities for individual visitors and groups in the context of the Bruegel Year. Join a guided tour, lecture, workshop,... and discover Bruegel from a new angle! The Royal Museums of Fine Arts of Belgium aim to make their rooms and collections accessible to each visitor. Made to Measure offers guided tours, creative courses, workshops and themed activities tailored to specific audiences. In this way everyone has the opportunity to visit the museum in a personal and adapted way, regardless of disability, culture, language or any other restriction. 2018 | 248p. | 300ill. 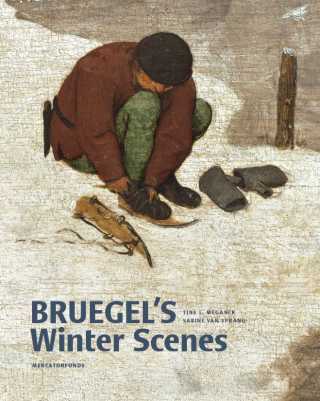 Pieter Bruegel the Elder is today best known for his peasant paintings and winter scenes. Of these masterpieces belong to the RMFAB: Winter Landscape with Skaters and Bird Trap (1565), Bruegel's most-copied work, and the Census at Bethlehem (1566). This richly illustrated publication, focusing on the panels of the RMFAB, sheds new light on these masterpieces, as well as on the historical context. This sixteenth number of the Cahiers of the Royal Museums of Fine Arts of Belgium was made after several years of research on the works of Pieter Bruegel the Elder. 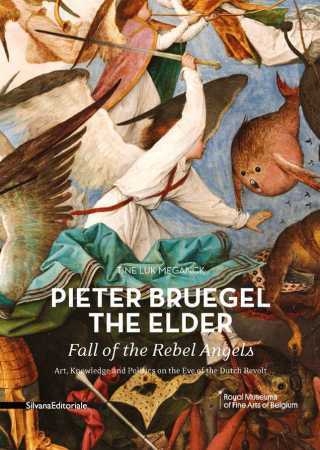 This book reveals some long kept secrets about The Fall of the Rebel Angels, in particular its rendering of fantastic creatures and enigmatic objects and traces unexpected links between art, knowledge and politics in Bruegel’s time. The ticket offices close half an hour before closing time. Any person entitled to a free ticket (e.g. ICOM/journalist), is to go directly to our ticketing desk. On presentation of the “OLD MASTERS MUSEUM”-ticket (with Bruegel permanent collection & digital experiences) or “ALL COLLECTIONS”-ticket, visitors receive a 2 euro discount for the “BEYOND BRUEGEL” immersive experience (in Palais de la Dynastie / Dynastiepaleis) and vice versa.